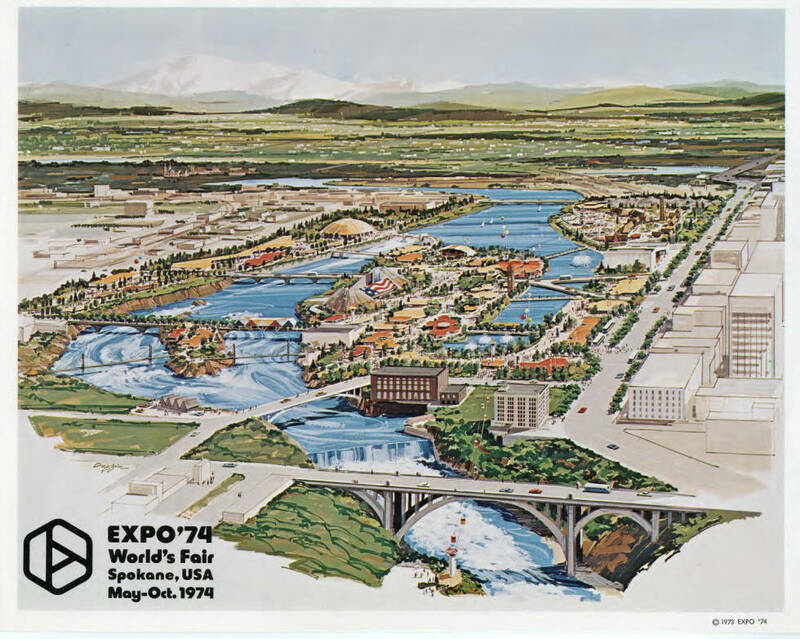 The 1974 World’s Fair brought national and international attention to Spokane. 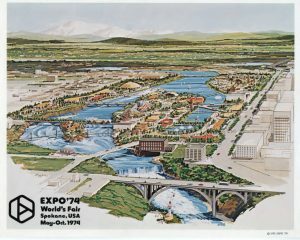 The state of Washington had hosted two fairs previously, the Alaska Yukon Exposition in 1909 and the Seattle World’s Fair of 1962, but this third event was Spokane’s chance to step onto the world stage. Although the location was an asset to the city with its close proximity to downtown and natural features, the buildings and structures were not. As one of the oldest areas of Spokane, the blocks surrounding the river had been occupied for almost a century by this point in time. But the years of wear had dragged the area down for decades and little of the once great industrial area seemed worth saving. A few of the bridges and the dam on the Spokane River were maintained as functional pieces of the infrastructure needed for the fair. The two largest structures in the area, the Great Northern Depot and the Union Passenger Depot, were intended to be torn down completely. There was a great amount of public response to the potential destruction of these two key buildings, creating a movement to try and save both depots. When all was said and done and the dust had settled, the clock tower of the Great Northern Depot was all that remained and the Union Passenger Depot would only live on in photographs. Once the islands were stripped to bare, preparation for the fair could begin in earnest. Multiple architects were brought on to the project for the purpose of designing the many different types and styles of structures that would be utilized by exhibitors and visitors alike. Perhaps the most recognizable architectural piece is the U.S. Pavilion that still stands in Riverfront Park. 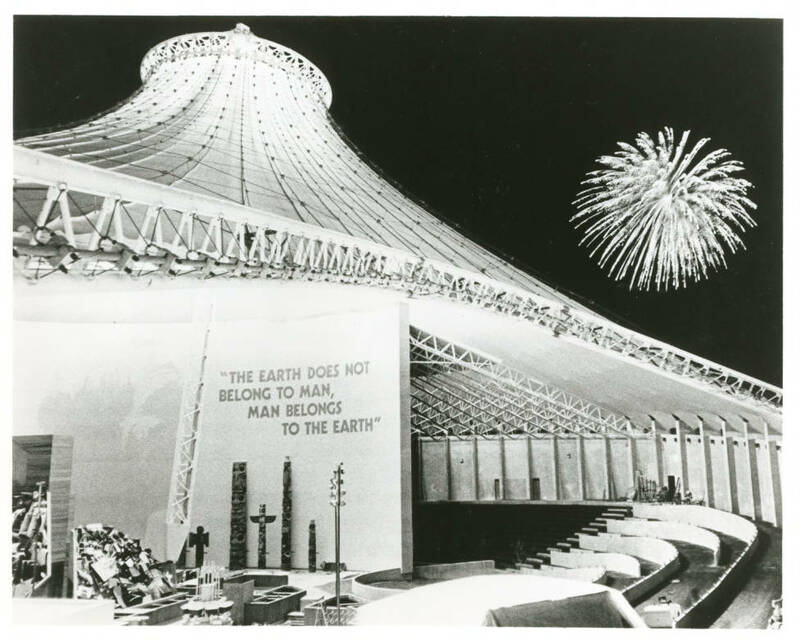 Designed by a Seattle based architecture firm, the canopy was originally covered by a thin white membrane and housed a theater as well as other open meeting spaces. The pavilion continues to be one of the enduring symbols of the events of Expo ’74. In addition to showcasing all that Spokane had to offer, the fair highlighted the northwest as a whole. Individual buildings were dedicated to sharing the beauty, unique characteristics, and various environmental aspects of the four northwestern states; Idaho, Montana, Oregon and Washington. The event and its environmental theme reached beyond the borders of the U.S. and included exhibits from ten countries such as Canada, China and the USSR. The Spokane World’s Fair was open for a total of six months, drawing more than five million people to the event. As the fair came to a close, the large amount of work and changes that had taken place on the lands near the river were to be repurposed as a new city park. 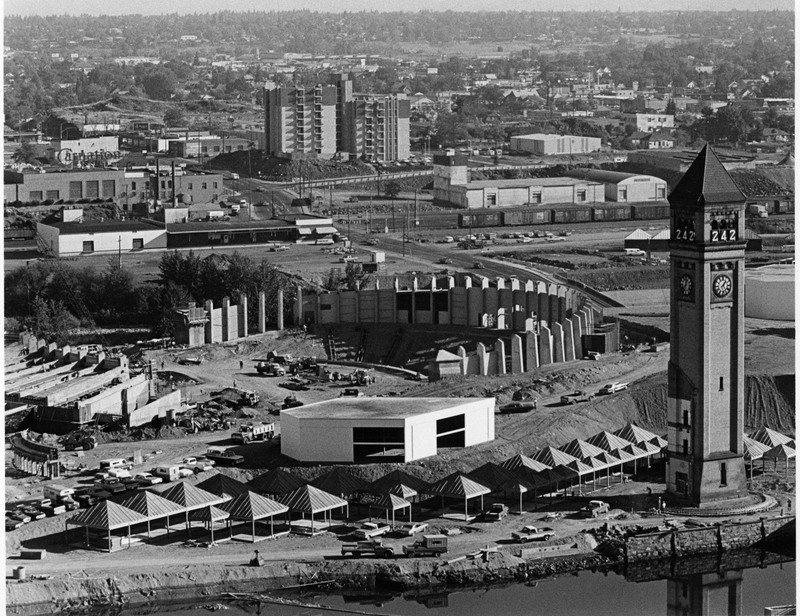 The majority of the structures used for Expo ’74 were removed or dismantled but some remain in Riverfront Park to this day as well as other aspects of the fair. For example, the Bavarian Beer Garden building was repurposed to hold the Looff Carousel which arrived at Riverfront Park on May 8, 1975. 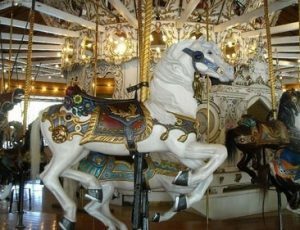 The 1908 carousel had been part of Natatorium Park which closed in 1968 and through community donations was purchased by the Spokane Parks and Recreation Department. 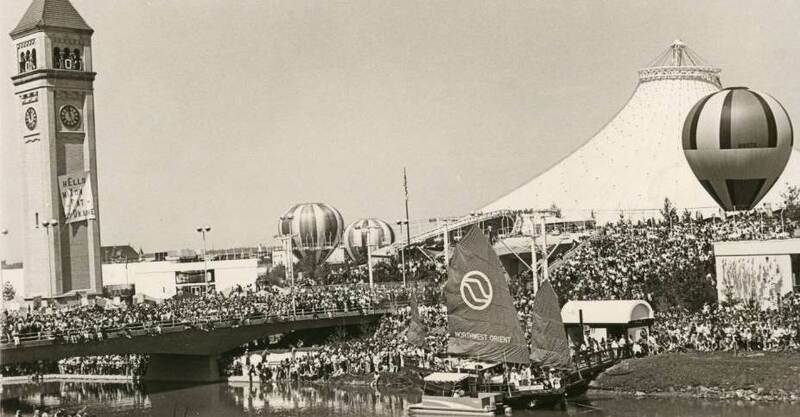 Many of the timber shelters around the park were constructed for Expo ’74 and the gondola ride that provides an aerial view of the river was one of the features of the fair. 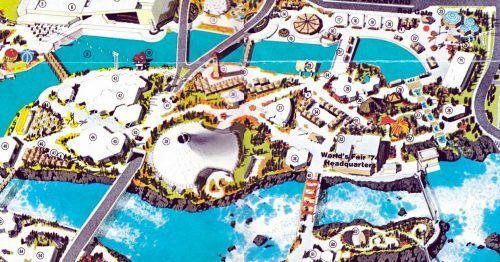 The Theme Stream was a major piece of the fair’s design – for the first time in decades, it separated Havermale back into an island. The Theme Stream is a specific element of Riverfront Park that will be rehabilitated and preserved during the ongoing work on the park. 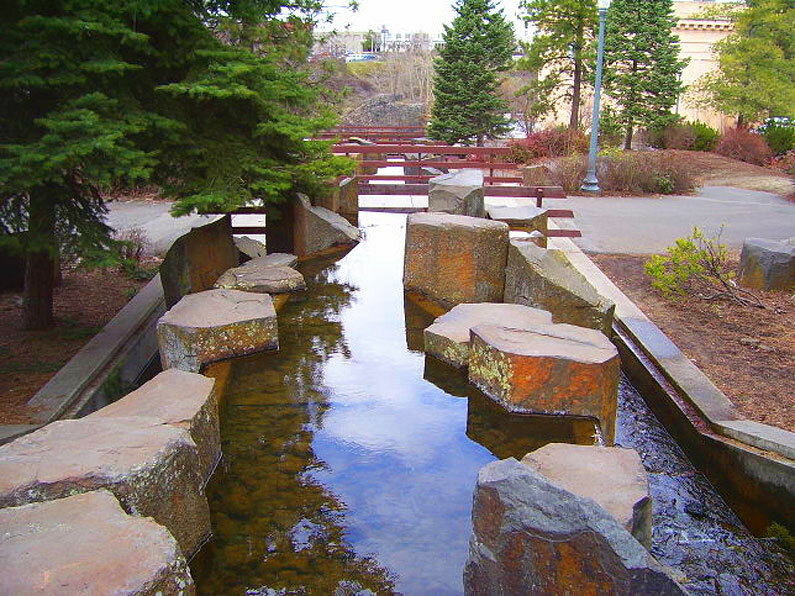 Riverfront Park has become an important landmark in Spokane and attracts visitors that wish to enjoy the natural beauty of Spokane in this city oasis. 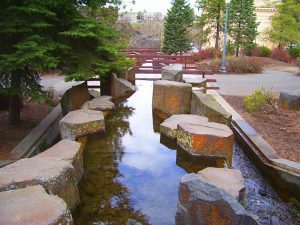 The legacy of the native peoples who valued the gifts of the land and the river, the hard working residents of the early 20th century, and the international guests that came to Spokane for the glory of Expo ’74 are the historical foundation upon which Riverfront Park rests.